When you read these lines, the main wine harvest in the northern hemisphere will have finished. In the past few weeks, farmers in Europe, north America, even as far afield as China, were picking grapes and transporting them to wineries, which in turn became epicentres of frenetic activity. Autumn is the most exciting time in the wine-making calendar, and I find it symbolic to write my first column for PASSPORT just as new wine is literally being made. 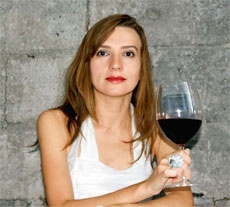 I have reported on all things wine in specialised and lifestyle publications, both Russian and international, since 2002, as well as contributed to several books, including Hugh Johnson’s Pocket Wine Book, which is the world’s best selling annual wine guide. So, this is my ninth vintage as a wine writer, but I was never able to take part in a real harvest. I have got some photos of myself armed with scissors and posing next to vines with dark mature bunches, but they don’t count. It was in Austria, during the first “proper” trip to a wine producer. Workers from the neighbouring Czech Republic were busy snapping bunches of red grapes and putting them in small boxes. We were casual onlookers, not suited for the job, but it felt like the spirit of the new harvest would be shared if we performed the same ritual. Many years passed, I was witness to several other picking campaigns in different places, but Austrian memories still linger. There is a beautiful tribute to harvesting and making new wine in Perugia in Central Italy. It dates back to 1278 when medieval artists built the stunning Fontana Maggiore in the city centre. This fountain is well preserved and is still one of the city’s main tourist attractions today. The lower basin is divided into 12 parts which represent months of the year, each being decorated with fine bas-reliefs. Two autumn months are dedicated to making wine. Here’s a man bringing in grapes in a woven basket, while the other is crushing them with his feet in an open basin. It happens in September. The story continues in October when a worker makes a barrel and the other pours fresh must into another wooden vessel, to be fermented and turned into wine. The wine-making process has changed very little since then. Modern wine estates may boast mechanised harvesters and computer-operated, temperature-controlled fermenting vats, but the main operations remain essentially the same. Picking grapes by hand is prized even today, and some wineries, notably Port producers in the Douro Valley in Portugal, still follow an ancient tradition by having their grapes foot-trodden. Harvesting—also in the Umbria region where Perugia is located—no longer takes place just in September. It is now common that white grapes, especially in southern Europe, are picked in August. This summer I was travelling around Puglia, the “heel” of Italy. The Tormaresca winery that belongs to a renowned Tuscan family, the Antinoris, starts its harvest as early as 2 August. Wine growers note that global warming has shifted picking dates forward by 2-3 weeks in recent years. Grapes get ripe faster, and one of the implications is that pickers in France or Italy are no longer able to take their traditional long holidays in August. 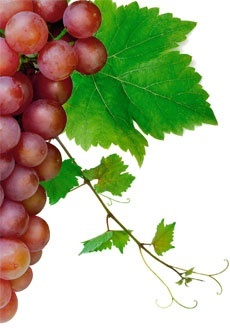 Red grapes are usually harvested in September or October depending on whether they are early- or late-ripening. The harvest can last well into November and even until New Year’s Eve for precious sweet wines, such as Sauternes in Bordeaux and German Eiswein. For winemakers, this is the time of greatest relief and greatest stress, all at once. After a prolonged cycle, having survived the vagaries of the elements and uncontrollable weather, vines bear beautiful fruit, a genuine gift of nature and a great promise to winemakers. Yet they have only one chance a year to turn grapes into wine—two at most if there is a second winery in the southern hemisphere where the harvest takes place in the spring. They simply cannot afford to go wrong. There are plenty of challenges, from deciding on precise dates of picking, when grapes are at their best, to controlling fermentations and to following how the wine matures in steel vats or barrels later on. One incorrect decision and the earlier labours of vines and farmers can be ruined. This is the time when winemakers’ skills are put to the test. No wonder they count the length of their careers in harvests. French consultant winemaker Jacques Lurton has witnessed 120 vintages in different wine-making areas of the world. He has worked in his native Bordeaux and in almost all the French wine regions; made wine in Chile, California and Australia; and has had experience in such exotic places as Uruguay and Moldova. “I am quite tense before a new harvest,” explains Jacques. “This is a kind of tension you feel before something important is going to happen to you.” He compares harvesting and making new wine with a restaurant operation that starts early in the morning with preparations in the kitchen, peaks with the arrival of clients, when the pressure is at maximum, and winds down late at night when the place needs to be cleaned and tidied up. Patience is a virtue required of anyone who is involved in making wine, even of simple quality. If a vineyard is to be planted from scratch, it takes several months to study and prepare soils, then another three years at least for vines to bear grapes for wine. Then there is waiting time in the winery, which can be anything between three months to ten and more years for very special bottles. There are, of course, exceptions. Some young wines leave wineries as early as November. They include Italian Novello, Austrian Junker, and the famous French Beaujolais Nouveau. Signalling the success of a new vintage, they are meant to be drunk within a few weeks after the harvest. Young wines are made in a light, lively style with accentuated fruitiness. They are at their best when slightly cooled to show their vibrant flavours. Think about them like you think about seasonal food that is enjoyed at a certain time of the year. As city dwellers, we may not always grasp the scope of agricultural activity that harvesting and making wine involve unless we actually get out to the wine regions and visit vineyards. But a new alternative emerged recently—all we need to do is to hit a computer button. You will be surprised how many wine-makers are using the internet to bring their reality closer to us through the virtual medium. They tweet, blog, upload videos on YouTube and set up Facebook pages. Some, such as historic producer Hugel & Fils from Alsace, even provide live coverage. Another unconventional way to experience how grapes become wine is offered in Austrian Loisium. It is a one-of-itskind wine attraction that presents the birth of wine through artistic means. A visitor becomes part of a bacchanalian performance that employs energies of light, water, air and the supreme god Bacchus, to live through a symbolic metamorphosis of a wine harvest. Picking grapes and making wine is physically tough, yet what’s great about it is that there is always a sense of appreciation and celebration. Hard work is usually rewarded with convivial end-of-the-harvest parties and, of course, new wine which eventually travels to us. No other agricultural product is celebrated in this way—this is a part of wine’s magic.